Performers include: Jason Beghe, Jon Seda, Jesse Lee Soffer, Sophia Bush, Patrick Flueger, LaRoyce Hawkins, Elias Koteas, Marina Squerciati, and Archie Kao. This police drama follows the men and women of the Chicago Police Department’s District 21. The facility is made up of two distinctly different groups — the uniformed cops who patrol the beat and go head-to-head with the city’s street crimes and the Intelligence Unit that combats the city’s major offenses (organized crime, drug trafficking, high profile murders, etc.). The responsibilities of these jobs often take an emotional toll on their personal lives. The Intelligence Unit is headed by Sergeant Hank Voight (Jason Beghe). He doesn’t have a problem crossing legal and ethical lines if that’s what needs to be done to protect the people of Chicago. He can be your ally one minute and your worst enemy the next. He works alongside Detective Antonio Dawson (Jon Seda) who’s more levelheaded and honest than his counterpart. Antonio put his reservations about Voight aside to help the Intelligence Unit track down Chicago’s most dangerous criminals — while also acting as a role model to younger officers. Jay Halstead (Jesse Lee Soffer) is a brash young detective who earned his spot on the team thanks in part to Antonio’s endorsement. His partner is Detective Erin Lindsay (Sophia Bush), a tough woman who grew up on the streets until she was taken in by Voight as a teen. Halstead and Lindsay’s relationship may become more personal but it won’t if Voight has his way. Alvin Olinsky (Elias Koteas) is an experienced undercover detective and confidant for Voight. Quick-witted cadet Kyle Ruzek (Patrick John Flueger) was plucked from the police academy to join Olinsky on undercover assignments. Kevin Atwater (LaRoyce Hawkins) is a charismatic uniformed patrolman who loves to throw a great party. A uniformed patrolwoman, Kim Burgess (Marina Squerciati) strives to become a part of the elite Intelligence Unit. Sheldon Jin (Archie Kao) is a neat and meticulous detective who’s in charge of surveillance and tech ops. What do you think? 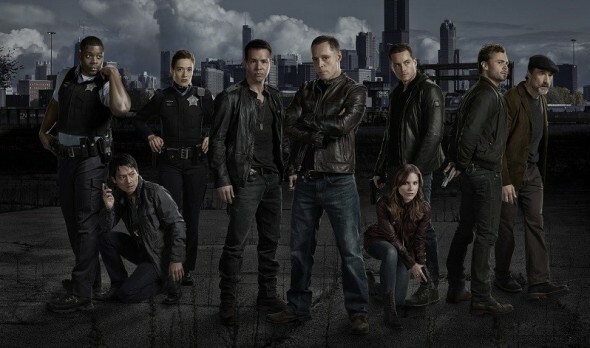 Do you like the Chicago PD TV series? Do you think it should be cancelled or renewed for another season? The best drama on television. Excellent plot and acting.